you noticed i skipped a thursday . . . never could get the hang of thursdays. Hera give me strength • DC Comics has signed New York Times list best-selling author Jodi Picoult to write a five-issue series of Wonder Womancomics to be published next year. Sure now watch them hire some illiterate fanboy to write the movie. everybody has one • Last month travel site/blog Worldhum.com posted its Top 30 Travel Books now every body who’s anybody (Rick Cahill, Pico Iyer etc . . .) gets to add their 2 cents. much ado • from the NYT Charles McGrath speculates about pushing Harry Potter over Reichenbach Falls. hmm . . . wait maybe I was just thinking that. you say that like it’s a bad thing • An invitation to a book burning in French Lick, IN. . . and NO, I am not making this up, but perhaps they are. Granted I think a lot of old books, would be best spent warming houses in winter time, but to make a blanket decree that books that cost a penny are burnable is rather narrowminded. 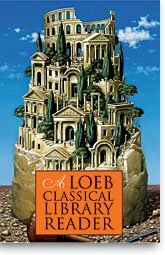 something new • the Weekly Standard has a review of Harvard University Press’s A Loeb Classical Library Reader by Tracy Lee Simmons. banktoaster • Office Depot is offering free downloadable office forms Just in case you want to terminate someone and need JUST the right form. I am such a sucker for free forms.